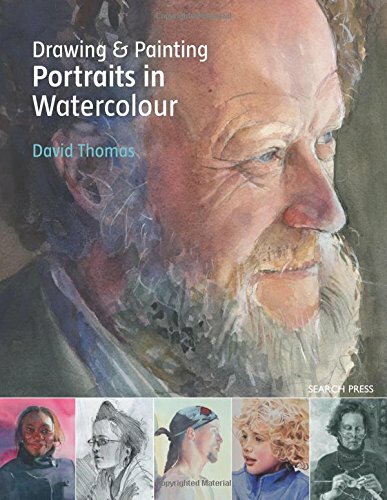 As noted by author and artist David Thomas, there aren't a lot of portrait painters who use watercolour. And as such, there aren't many books that deal with the subject too. 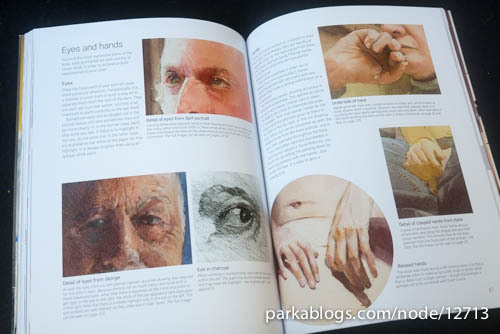 So this book serves as a nice reference for artists who want to learn more about portrait painting with watercolour. 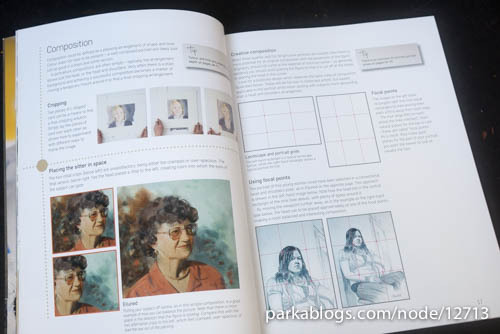 The structure of the book can be quite similar to many other instructional watercolour books that I've seen. 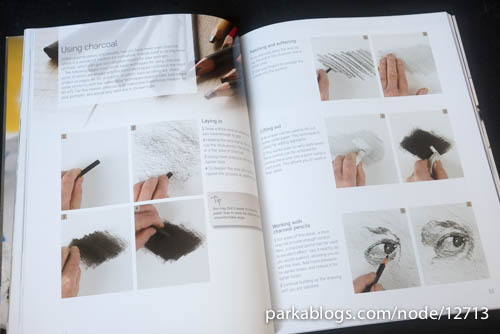 It covers the tools you need, basic techniques like wet-on-wet, flat wash, composition, glazing and other fundamentals. All those are written from the perspective of a portrait painter. While they are informative, I believe artists who want to paint portraits should already know some basics because one doesn't just jump into portrait painting without prior knowledge on painting. 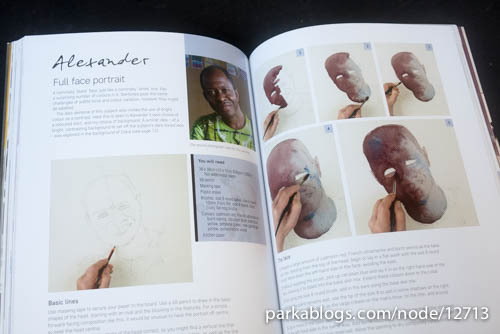 The book could do with more examples on mixing skin tones. 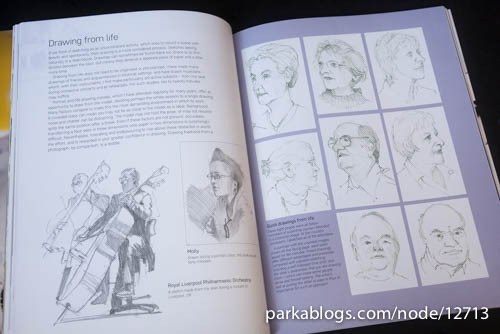 There are actually a few pages talking about drawing from life and using pencils, charcoal. Again, the information is good but sort of unnecessary in a watercolour book. 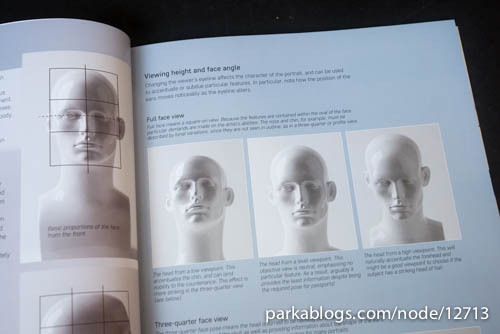 What I like about the book are the clear instructions and the three full length tutorial at the back. The subjects are a dark skin male, white skin mum and her kid, and a middle-age white lady. Unfortunately, the result of the tutorial for the mum does not look good, but at least the instructions are actually insightful. It's difficult to control watercolour as a medium so I can understand that sometimes things don't go the way you want them to be. David Thomas does provide another version of the mum and kid painting that looks much better. Many of the included examples throughout the book are all quite beautiful. 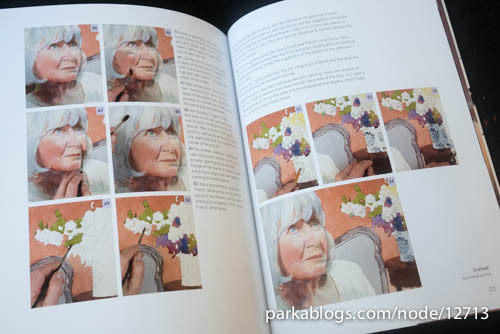 Another thing mentioned in the book is the longer amount of time required to create a portrait painting with watercolour. As such, in addition to working from posed figures, David Thomas also works from photographs, and he also gives tips on how to use photographs properly for reference. 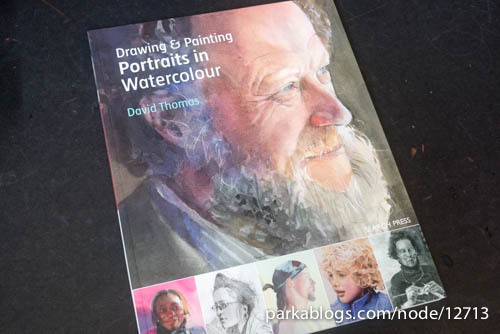 Overall, it's an informative book on watercolour portrait painting that's good for beginners. I just wished the editing of subject matter is more stringent.